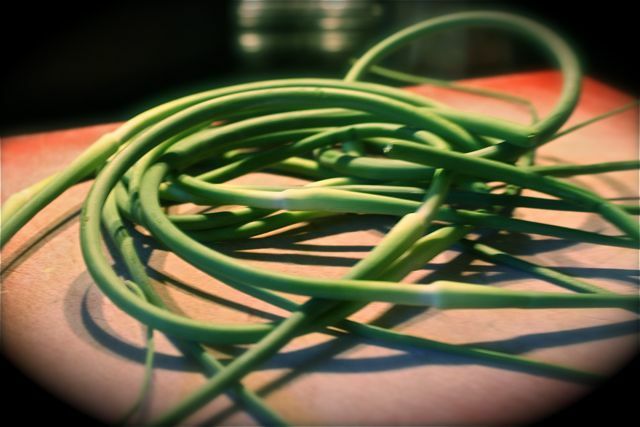 A few weeks back, I picked up some garlic scapes at the height of their season from Headhouse Square. I’d only worked minimally with garlic scapes, using them in a stir fry and grilled. 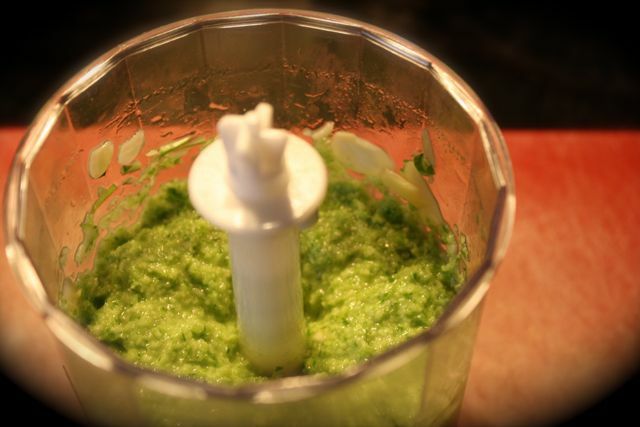 I had seen a few mentions of garlic scape pesto and decided I’d give it a go. As a searched for a decent recipe online (I mean, how much of a “recipe” do you really need for a pesto?) I stumbled across this one from Dorie Greenspan. Food bloggers and other folks on the internet sang its praises so I figured I should check it out. 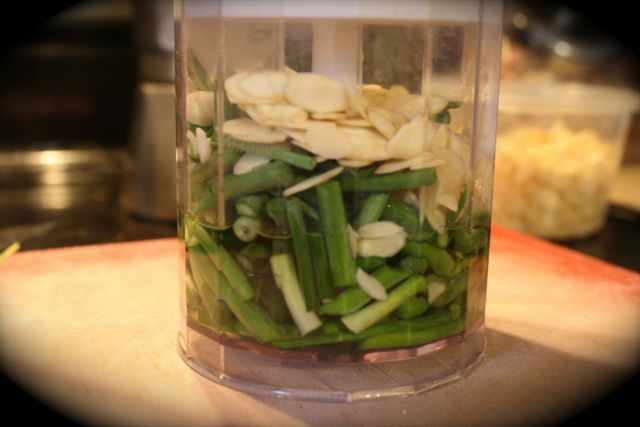 Put the scapes, 1/3 cup of the cheese, almonds and half the olive oil in the bowl of a food processor (or use a blender or a mortar and pestle). Whir to chop and blend all the ingredients and then add the remainder of the oil and, if you want, more cheese. If you like the texture, stop; if you’d like it a little thinner, add some more oil. Season with salt. I ended up adding a little more cheese, olive oil and almonds because the mixture is REALLY garlicky and I wanted to tone it down a bit (not too much though!) The final product was a creamy green and tasted great mixed with pasta or smeared on sandwiches.